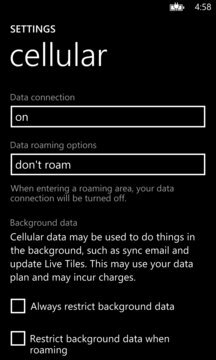 Windows Phone does not include a way to quick access to settings such as cellular or Wi-Fi, but cellular app adds this feature to the system for free. 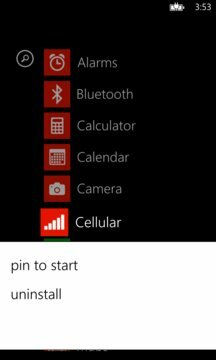 You can fix the phone, Bluetooth, airplane mode and mobile network settings on the start screen, allowing you to quickly enable/disable these features to preserve battery life (or avoid the wrath of a flight attendant). If you are tired of going into settings every time that you want to bind to the cell phone or unplug it, this app makes your life.